Portland Community Reinvestment Initiatives Inc. · The Beatrice Morrow - Portland Community Reinvestment Initiatives Inc.
Construction at the Beatrice Morrow development continues to proceed according to schedule, with the second floor nearly ready to take shape. 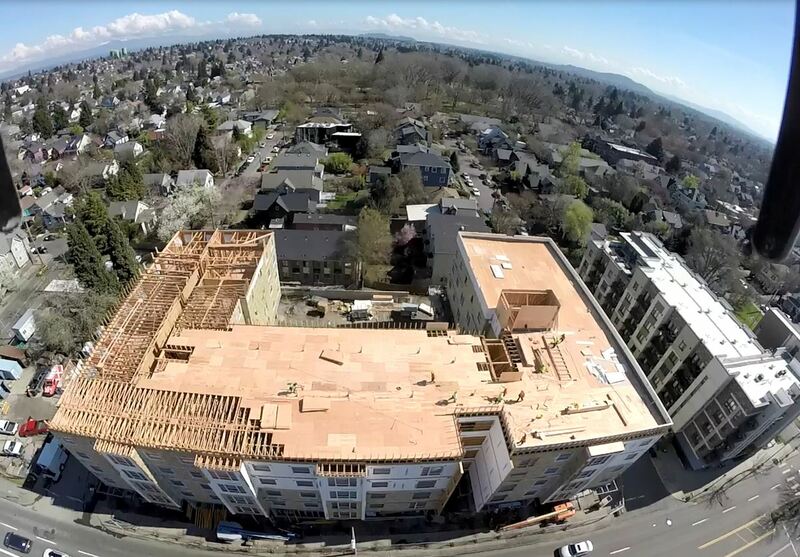 First floor walls, columns and floors are complete and decking is in place for the concrete slab of the second floor. 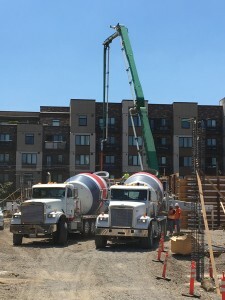 Concrete deliveries are anticipated during the coming weeks. To facilitate safety and jobsite access, additional street closures are planned on NE Cook Street during beginning the afternoon of Monday October 23 through approximately November 5. Cook Street will be closed to parking and vehicle traffic at NE Martin Luther King Blvd during this time. Access will remain available from NE 7th Avenue to the Magnolia Apartments and properties east of Martin Luther King Blvd. 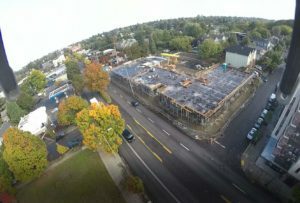 The Beatrice Morrow construction team has also been in contact with the contractor of the property at 422 NE Ivy Street. 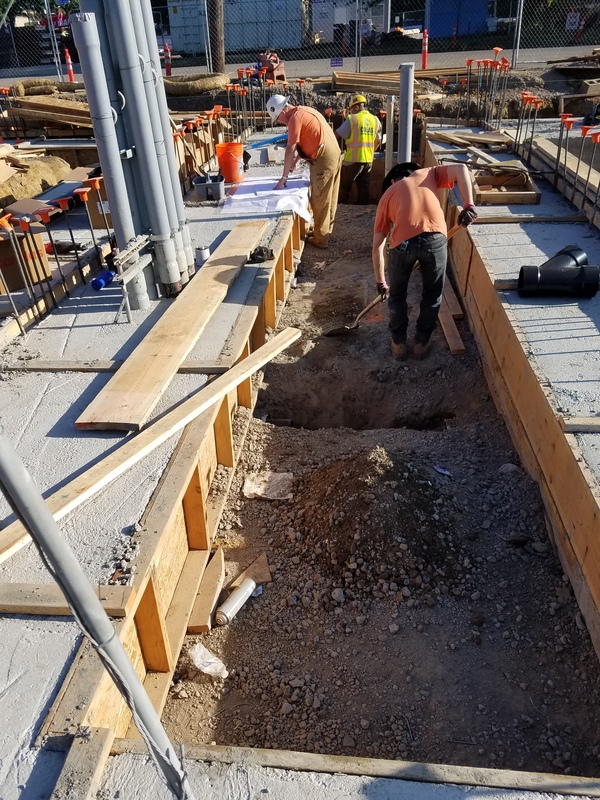 Although this construction is unrelated to PCRI and Colas Construction’s work at the Beatrice Morrow, we have helped to coordinate access for construction vehicles from NE Martin Luther King Blvd to help minimize construction traffic on Ivy Street. Construction at the Beatrice Morrow development took a brief pause during this week’s solar eclipse. 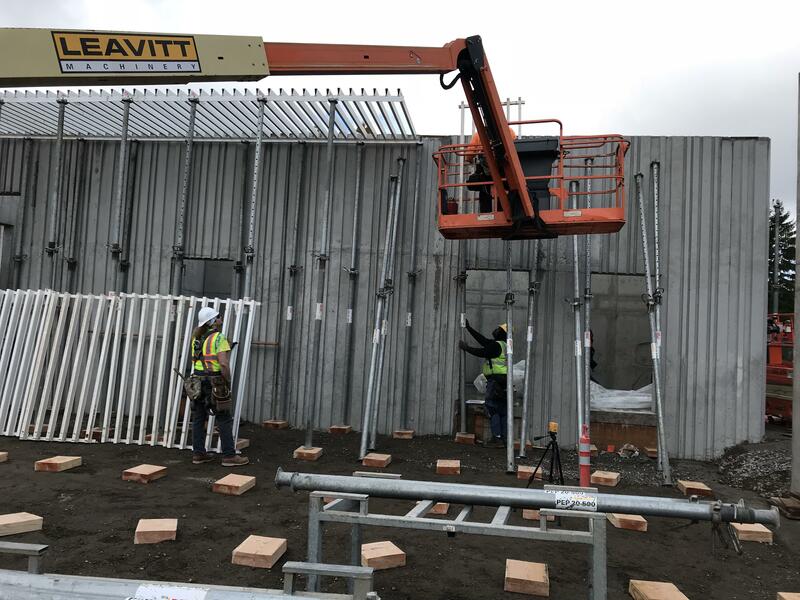 Despite the brief construction break, first floor concrete walls continue to be formed and poured, with the final wall pour anticipated within about a week. 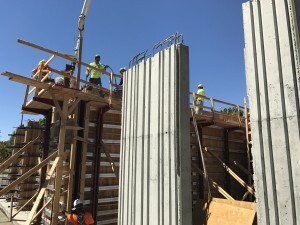 Forming and pouring on concrete slabs will follow. The Beatrice Morrow construction team has also been advised that construction will soon begin at 422 NE Ivy Street, adjacent to the Beatrice Morrow development. PCRI and Colas Construction are not involved in development or construction of townhomes to be built at this property on Ivy Street. In addition to the above street closures, construction crews will temporarily close one lane of Martin Luther King Jr. Blvd. as fill material is delivered for the building areas along the street. These closures are anticipate to only involve one lane for a brief period of time and will involve flaggers to direct traffic, in accordance with permitting requirements for the closure. 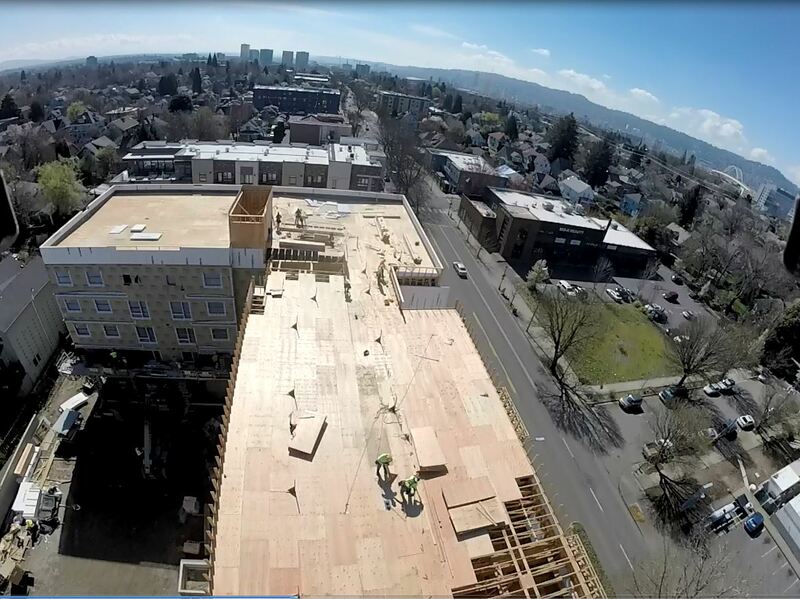 Record temperatures in Portland will result in some changes in work crew schedules this week. Construction crews will stop work at 1:30 p.m. August 3 to avoid extreme mid-day heat. During continued hot temperatures, crews are anticipated to begin work at 6:00 a.m., slightly earlier than normal. Notices have been posted at neighboring homes advising of the schedule change, with contact information in case of any issues. 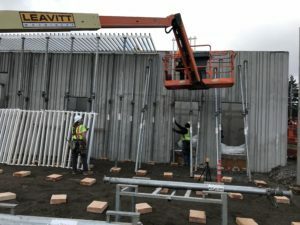 Despite the weather inconvenience, concrete walls continue to be formed and poured. One phase is complete, with a second underway and a third phase coming in approximately one week. 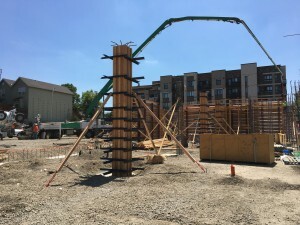 Forming and pouring on concrete slabs will follow. 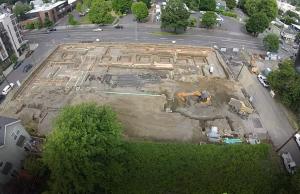 Concrete walls are being poured! 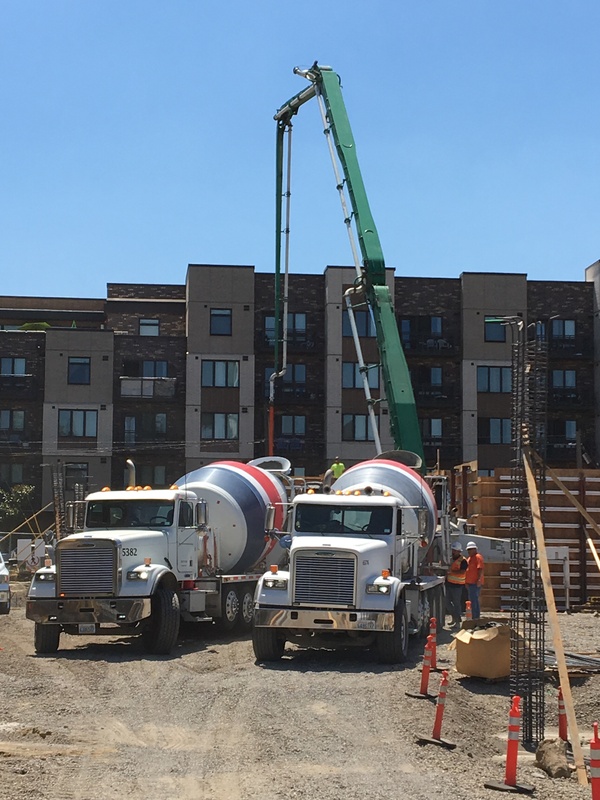 Concrete arrived Friday, July 21 for the first of three phases of concrete walls and columns. 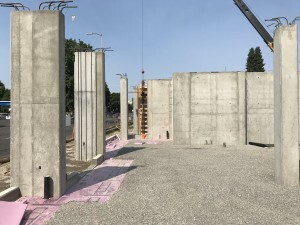 Two additional phases of walls and columns will be formed, reinforced, and concrete will be poured in the coming weeks with each phase lasting approximately one week. We’re going up! Following completion of concrete footings, first floor columns and walls are being formed, reinforced, and concrete will be poured. This work will be completed in three phases with each phase lasting approximately one week. 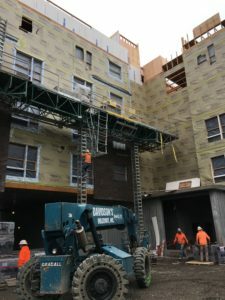 As construction progresses at The Beatrice Morrow, the health and safety of future residents as well as the larger community remain of critical importance to PCRI. 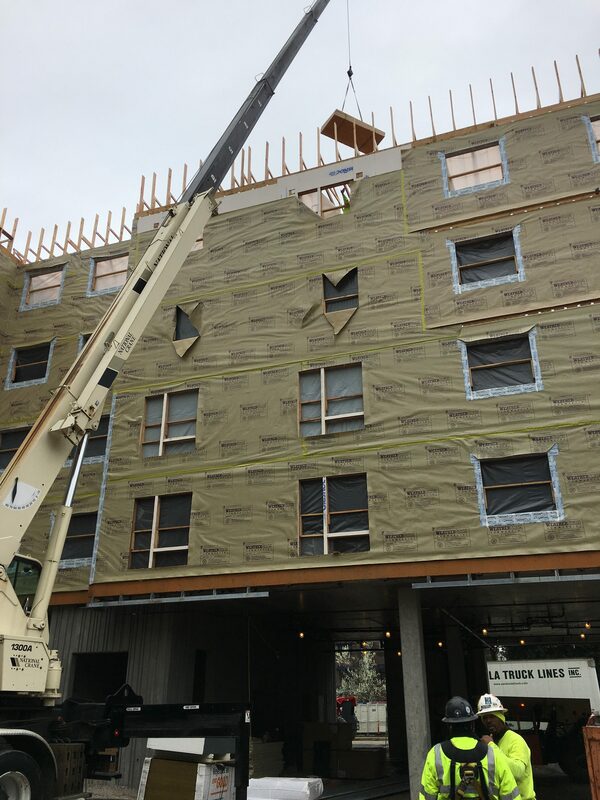 Throughout construction, environmental inspections are being performed to verify the site is safe for future residents and neighbors. 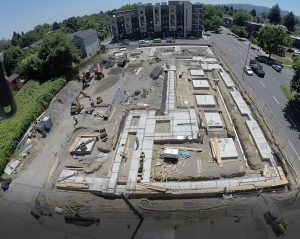 To this end, we are happy to report that inspections performed at the start of construction have identified less remediation required than anticipated. Prior to construction, environmental inspections and soil samples identified one area of potentially lead-impacted soil at the site. During excavation, further tests were performed on this area of soil. Presence of lead in the surface soil was identified, although testing revealed that deeper soil was not affected. The impacted soil was removed and transported to a facility certified for disposal. Additional environmental tests have been performed in other areas of the site to assess any potential environmental or health concerns and all tests have come back negative for possible hazards. 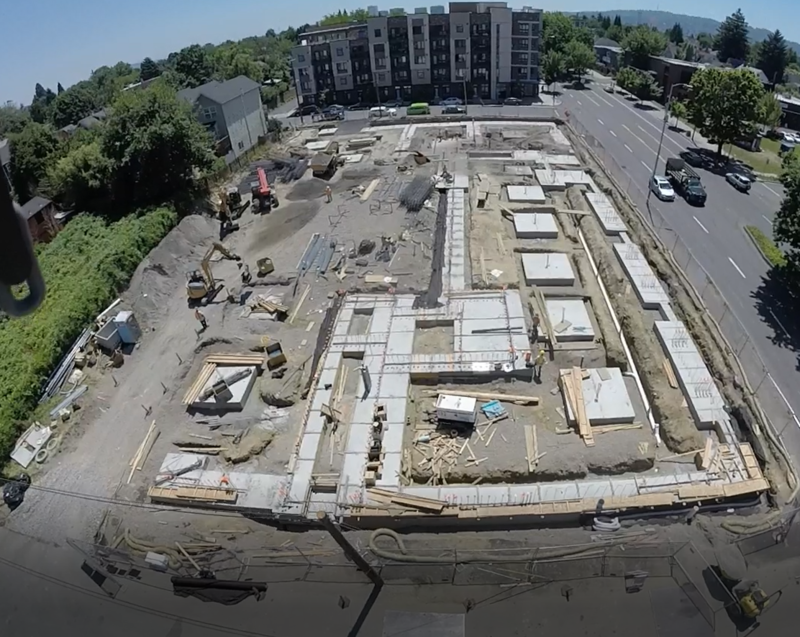 Footings have now been poured and the vertical construction of the building will be underway soon. 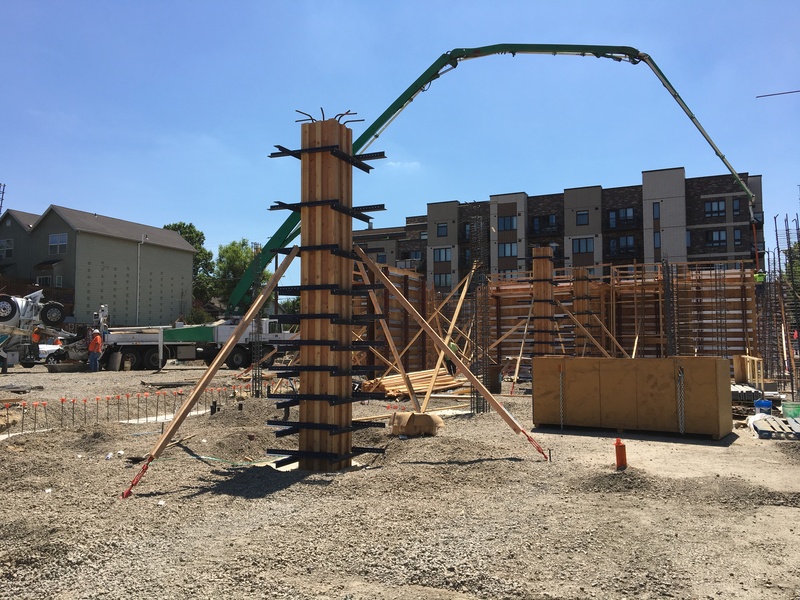 As construction continues, the development team will continue to utilize our third-party environmental consultant to assess any areas of concern and perform tests to ensure the ongoing safety of the site. Additional information and prior construction updates can be found HERE and additional environmental information can be found HERE. 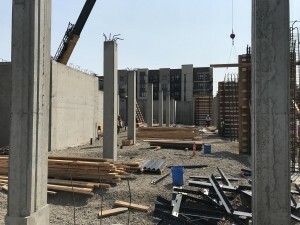 Completion of the 80-unit mixed-use commercial and residential building is anticipated in mid-2018 and all apartments are expected to be leased by the end of 2018. Concrete footings have been poured at The Beatrice Morrow Apartments and additional construction continues to proceed. 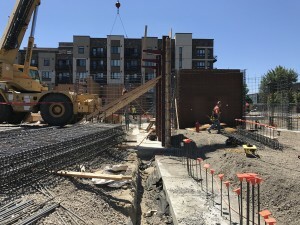 Concrete foundation and footings are expected to be poured at The Beatrice Morrow Apartments at the end of the week beginning June 12. During this time, trenching will also be performed in NE Ivy Street for a new sanitary sewer connection. To ensure safety and facilitate the this work, NE Ivy is expected to be closed temporarily where it meets Martin Luther King Jr. Blvd. beginning Wednesday, June 14. NE Ivy Street will be closed intermittently at NE Martin Luther King Jr. Blvd. until the trenched area of the street is patched, expected to be complete Saturday, June 17 or Monday, June 19. 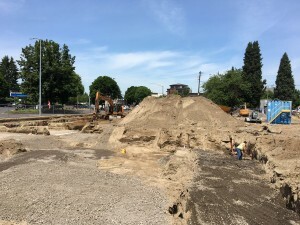 East of the work site, Ivy Street will remain open to NE 7th Avenue. Additional intermittent closures are likely to occur in the coming weeks to ensure safety while concrete pours are performed. Earlier in the week, Pacific Power temporarily closed NE Cook Street to relocate a power pole at the construction site. Additional closures of NE Cook Street are not anticipated in the immediate future, however details of future street closures will be communicated as soon as they are confirmed. 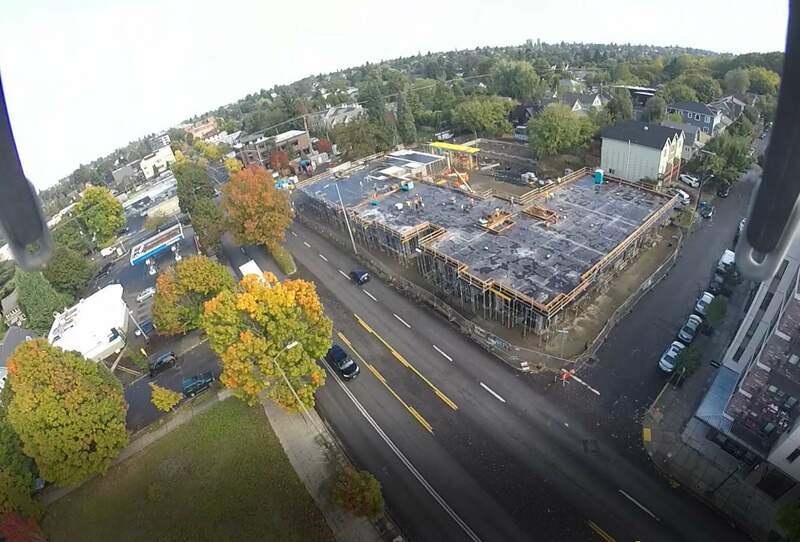 The City of Portland is reviewing the development team’s proposed Transportation Management Plan which details any additional construction-related impacts sidewalks and streets. 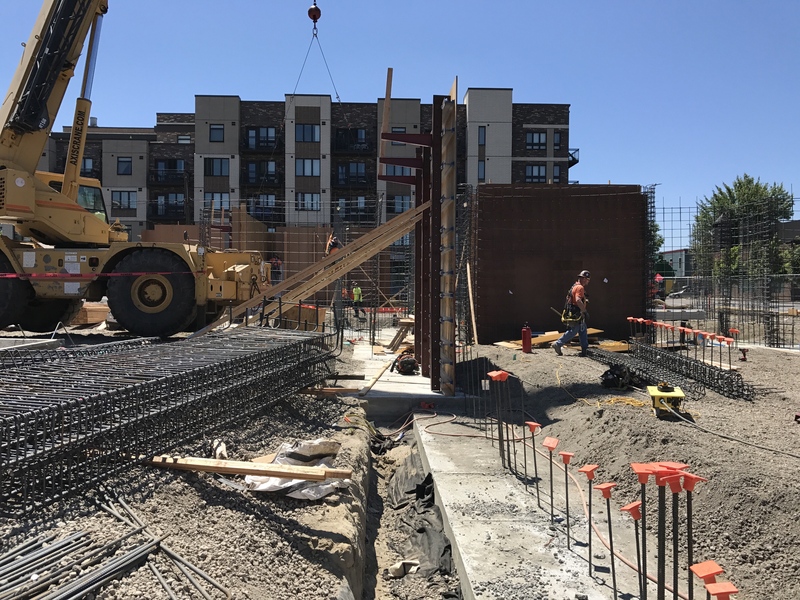 The development team is working with the city to ensure safety and to minimize any sidewalk closures during construction. Once approved by the Portland Bureau of Transportation, this information will be shared by the development team. During the final week of May, construction activity progressed at The Beatrice Morrow Apartments. Work primarily consisted of installation of the storm water drainage systems and excavation for building footings. 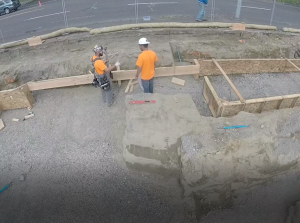 Installation of concrete forms and additional preparation for building footings will continue in early June. For the week of June 12, construction crews will close NE Ivy Street where it meets Martin Luther King Jr. Blvd. 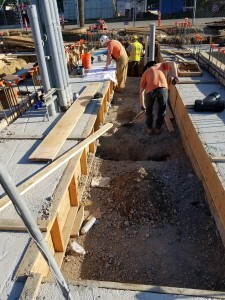 to allow for installation of the sanitary sewer connection. The street will be closed beginning Monday or Tuesday and may last through the week. Crews will re-open the road as soon as it is safe to do so. 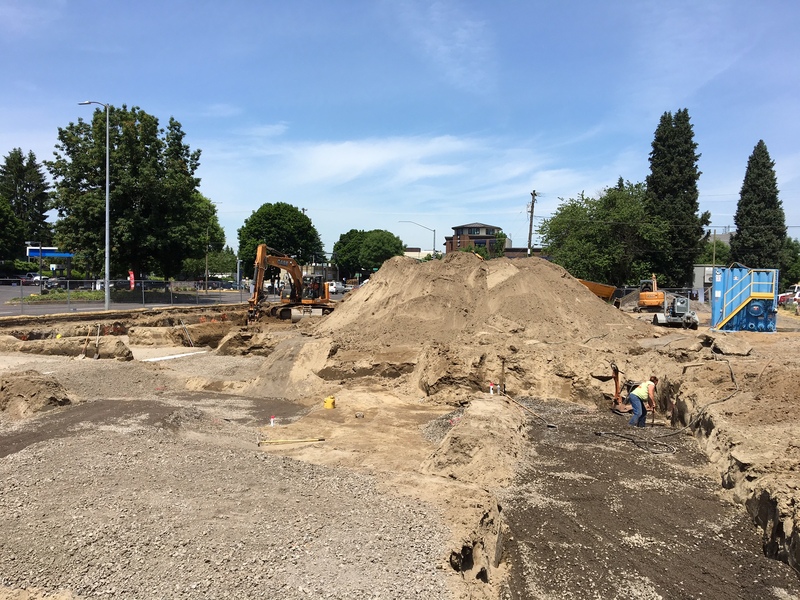 East of the work site, Ivy Street will remain open to NE 7th Avenue. 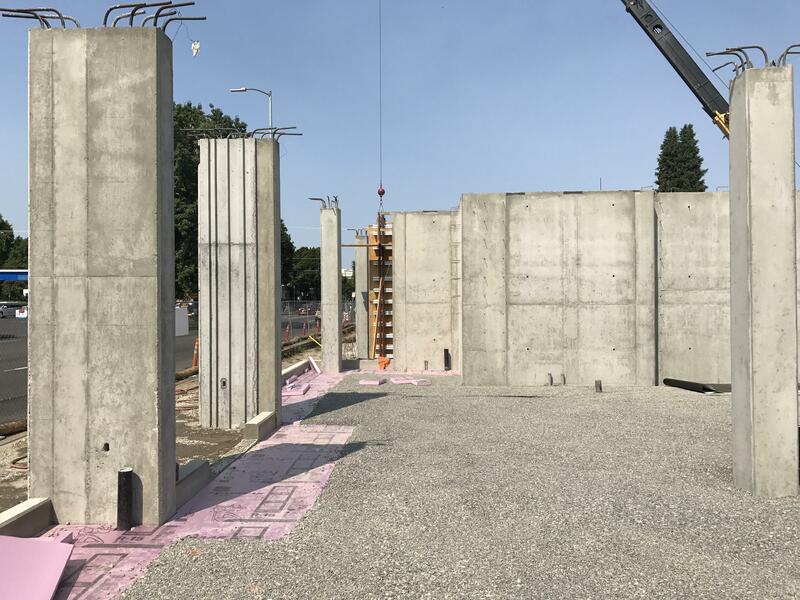 Additional intermittent closures are likely to occur in the coming weeks to ensure safety while concrete pours are performed. Details of future street closures will be communicated as soon as they are confirmed. 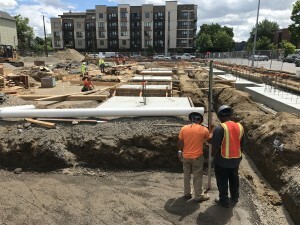 The City of Portland is reviewing the development team’s proposed Transportation Management Plan which details any additional construction-related impacts sidewalks and streets. Once approved by the Portland Bureau of Transportation, this information will be shared by the development team.